Here at Five Star Powersports, we are excited to announce some great events we have planned for the 2018 year. We plan to have our Five Star team available at most if not all events coming up this spring and summer. Our displays will include special discounts on gear and apparel, as well as having some of our amazing machines available to check out and ride. A special thanks to all our local tracks and ATV parks for giving Five Star the opportunity to be involved in so many great family events. Check back often to see what new events and races are added weekly! Look for our Five Star Powersports rider hospitality motorhome and custom Five Star tractor-trailer at an event near you! Be Sure to Like our Facebook Page to stay up to date on all Events and Promotions. 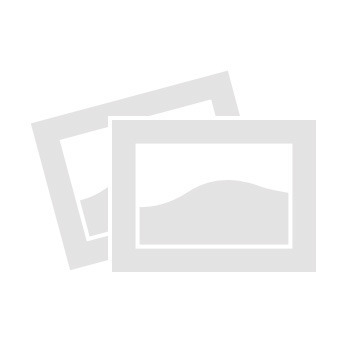 Overview: Tri County ATV Park open house ride weekend. This is a great opportunity to ride at this normally members exclusive riding area. Come ride with us during this fun filled weekend. Overview: Five Star Powersports is hosting a FREE Customer Appreciation Ride at Tri County ATV Off-Road Park. THANK YOU!!! to all of our valued Customers that made this event possible. 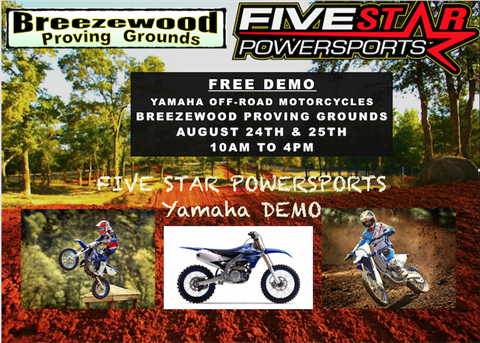 Overview: Five Star Powersports sponsored DEMO event at the legendary Breezewood Proving Grounds, Come Ride the new Yamaha off-road Motorcycles with us! FREE DEMO! This program features a full the line of Yamaha Off-Road Motorcycles to test! Including: YZ450F, WR450F, YZ250F, WR250F, YZ250, YZ125, YZ85, TT-R125LE, TT-R110E, TT-R50E.